The challenges facing Europe today have global implications and require global solutions. From the Greek crisis to migration and climate change, the EU must seek answers beyond its borders, argues the European Think Tanks Group. The European Think Tanks Group (ETTG) is made up of the German Development Institute / Deutsches Institut für Entwicklungspolitik (DIE), Bonn; the European Centre for Development Policy Management (ECDPM), Maastricht; the Overseas Development Institute (ODI), London; Fundacion para las Relaciones Internacionales y el Dialogo Exterior (FRIDE), Madrid and the Institute for Sustainable Development and International Relations (IDDRI), Paris. Hidden in the small print of last week’s European Council conclusions – eclipsed by the crisis in Greece, the row about migration and the UK’s bid to renegotiate the terms of its membership of the EU – was an important commitment to continue the process of reflection leading to an “EU global strategy on foreign and security policy”. 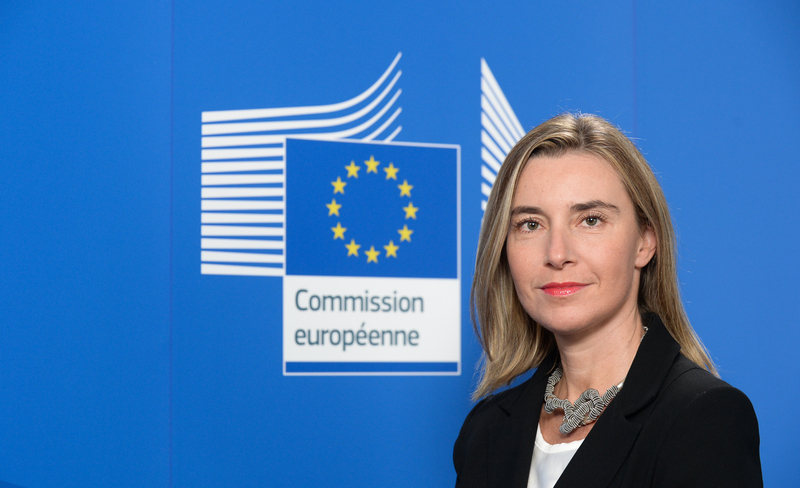 This gives Federica Mogherini, the former Italian Foreign Minister who is now the EU’s external affairs chief, a mandate to set a new path for Europe in the wider world. It is however a path strewn with rocks, and one that Ms Mogherini must contemplate with mixed feelings. Pressures are building on many fronts – Russia in the East, instability in the Middle East, failed states in Africa and global threats like climate change. At the same time, Europe’s many different interests and capabilities repeatedly act as a barrier to collective action. The migration crisis offers a perfect example. Some countries just don’t want more migrants. Others complain that much of the pressure results from illegal immigration rather than refugees. Others say the problem must be tackled at the source with development and humanitarian aid. The best that can be said is that a small step has been taken, but that it will take more time for a worthwhile common position to emerge. The fact is, seven years after the start of the financial crisis the European Council is still stuck in disagreement. It is fragmented on inter-connected issues, underlining once more that Europe’s strategy for long term security and prosperity requires concerted action across the full range of EU external and internal policies – from trade, finance, energy, climate and development policy to security and defence. The major challenges confronting Europe demand collective action at European level and regular strategic reviews. European policy-making is not always quite so dire. The EU has adopted and recently confirmed sanctions against Russia, has worked well together in talks with Iran and has come together around a reasonably ambitious position on climate change. So, it can be done. What are the lessons that the EU and its member states should learn? First, they need to be clear that a global strategy for Europe requires a truly integrated approach. For example, the root causes of illegal migration and refugee flows across the Mediterranean cannot be tackled solely with a security driven approach comprising walls and marine operations. Without the right mix of EU tools and partnerships, Europe will continue to firefight with little hope of solutions. Together as the European Think Tanks Group we said in our report ‘Our Collective Interest’, published last September, that it is of utmost importance that the new European global strategy, in its ambition and language, is integrated and strategic, linking the internal with all aspects of external action. Second, the EU and its member states should be ruthless in targeting problems (and opportunities) that unequivocally demand collective action at the European level. Although it sought to go beyond a security driven approach, the European Security Strategy from 2003 focused on threats with little sense of common stewardship of the world, its resources and its people. Europe is still an enabling power in the world, because of its integrated preventive and long-term approach to global public goods, shared well-being and prosperity. It is on these that the future of EU depends. We therefore expect that the next strategy will mirror the ambition of the Sustainable Development Goals, currently being negotiated through the UN system. The EU should take equal stock of its own internal failures and those on its own doorstep. ‘Our Collective Interest’ highlights the need for the EU to contribute to a 21st century growth model that emphasises responsible trade and financial policy coordination. Third, a key challenge for the global strategy will be to pick priorities by identifying a small number of issues where the EU can really make a difference. Success in a few areas may just swing public opinion and political leadership behind the next round of joint EU action. Our research recommends that such key priorities include the continuation of Europe’s leadership in climate policy, facilitating legal migration and dealing with weak, fragile or failed states in its Neighbourhood. The European Union faces hard and momentous choices at home and abroad. The outcome of the dire crisis in Greece will have far reaching implications, including on the international stage. As think tank leaders deeply engaged in global policy, we do not underestimate the heavy lifting that will be required from Federica Mogherini, the EU institutions and member states to make change happen. But we urge European leaders to show renewed determination to measure up to the scale and scope of the challenges that Europe is facing – together.